Welding is a valuable skill that almost anyone can learn. This comprehensive handbook gets you started with tips and suggestions from an experienced welding instructor. Straight to the point and easy to read, it covers all of the major types of welds, including Arc , MIG, Gas, TIG, Plasma Cutting, and more. This extremely detailed book is an ideal reference for farm, home , and school workshops, and blacksmith or auto workshops. Hundreds of step-by-step photographs illustrate welding processes and show the differences between good welds and bad. The author points out common pitfalls and mistakes, and offers constructive advice on how to correct or avoid problems. 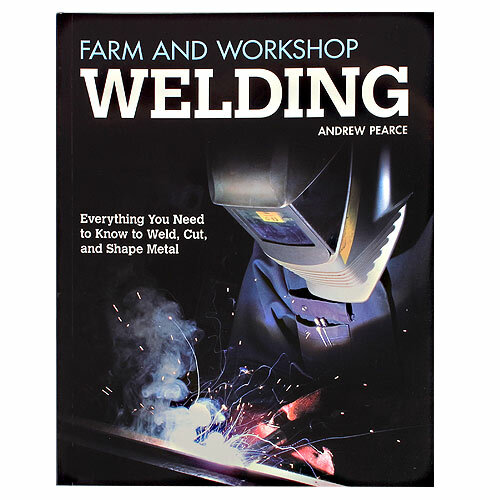 Whether you are a complete beginner or an experienced welder who wants to learn more, this book provides a wealth of useful shop-tested advice. You'll discover everything you need to know to learn hands-on welding, and start repairing and creating metal equipment and structures.